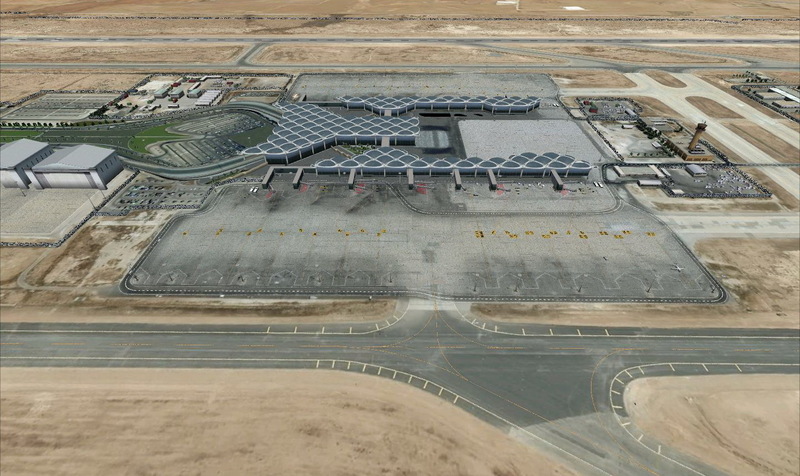 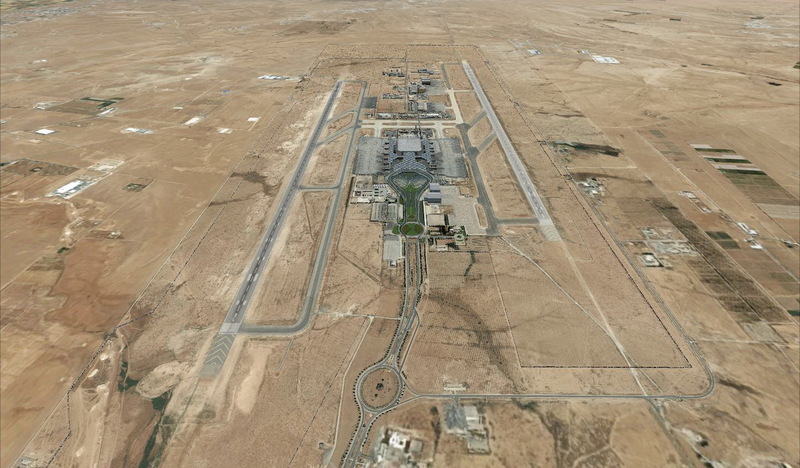 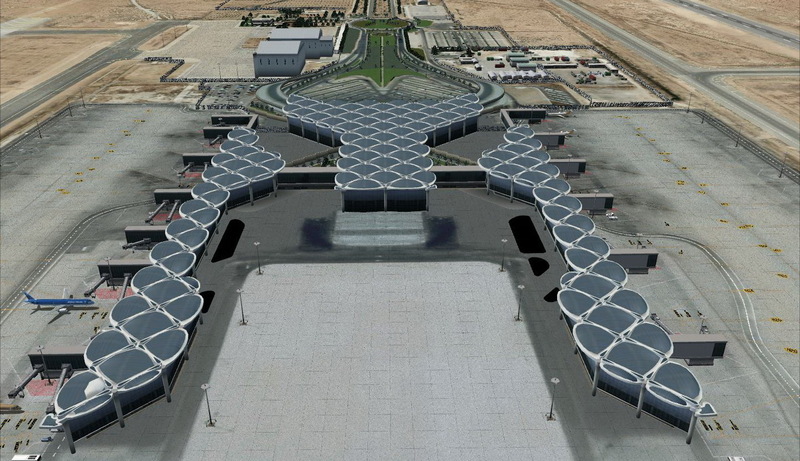 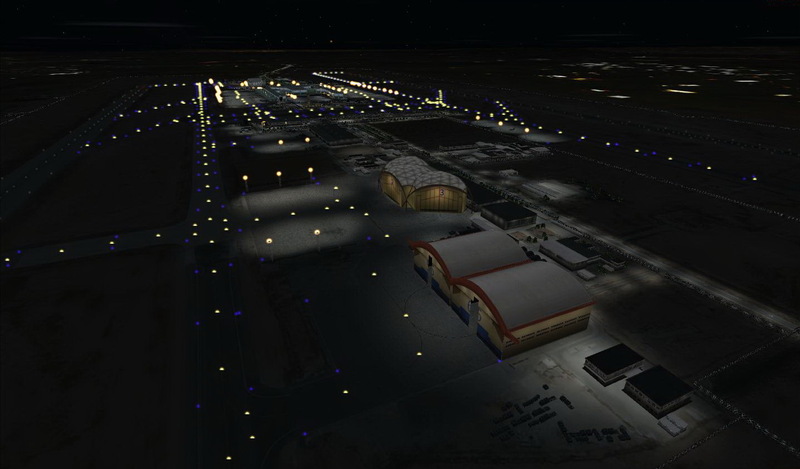 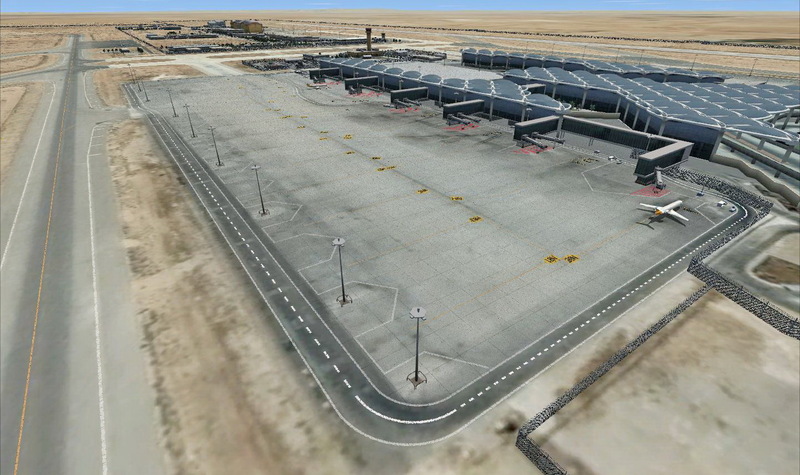 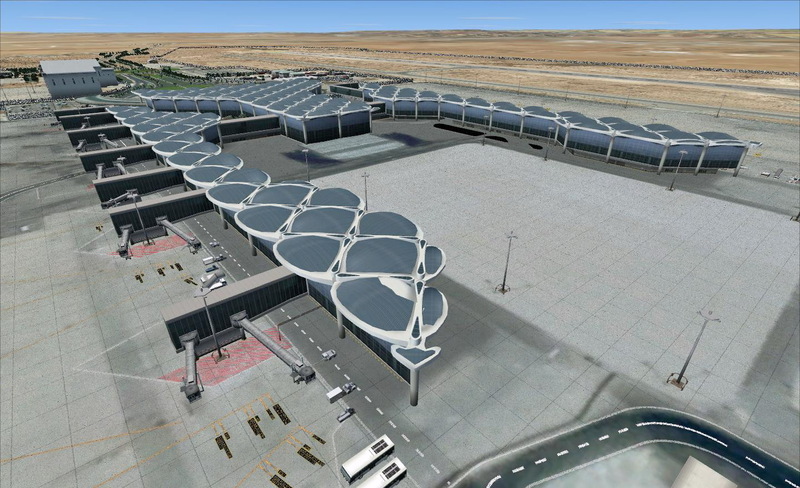 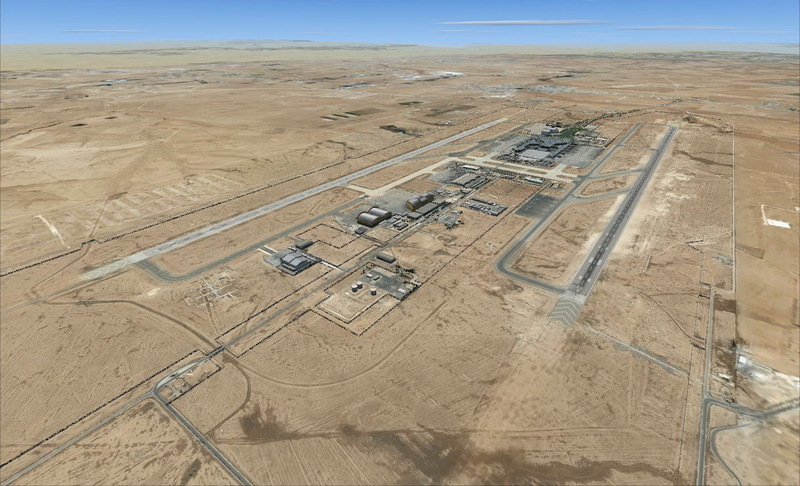 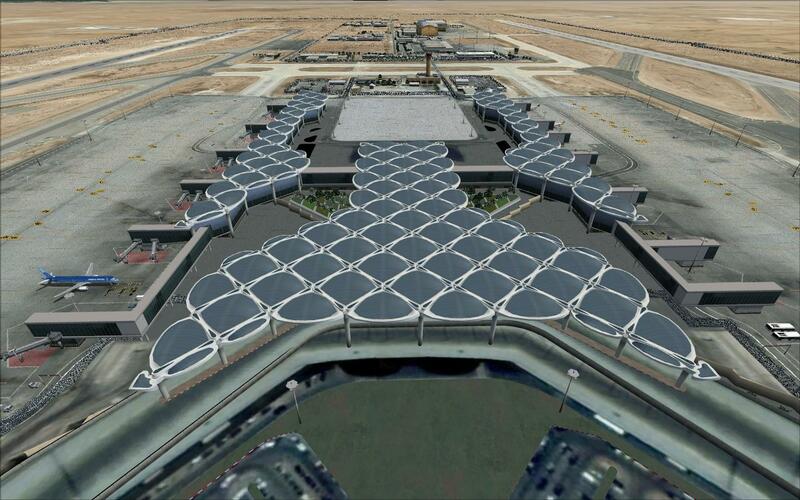 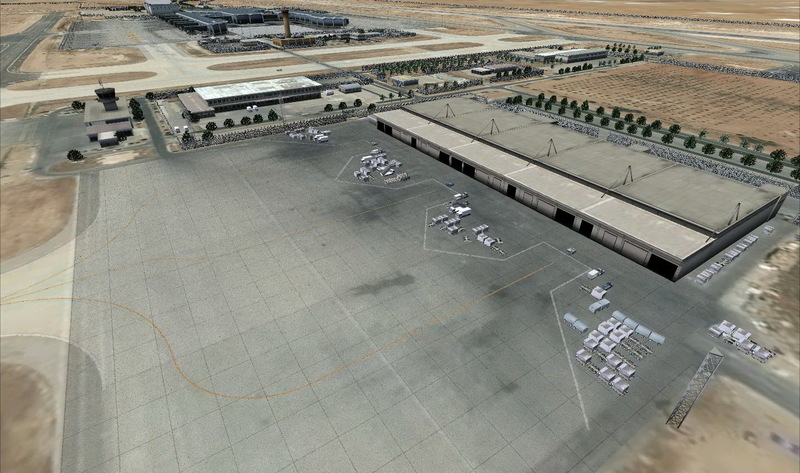 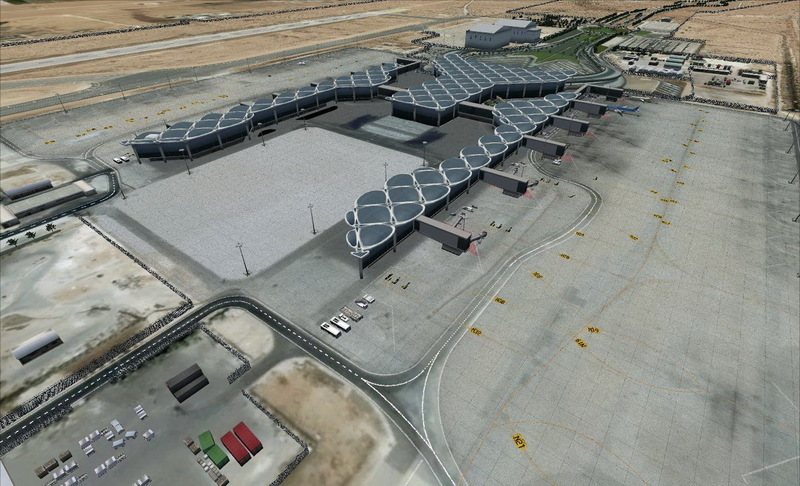 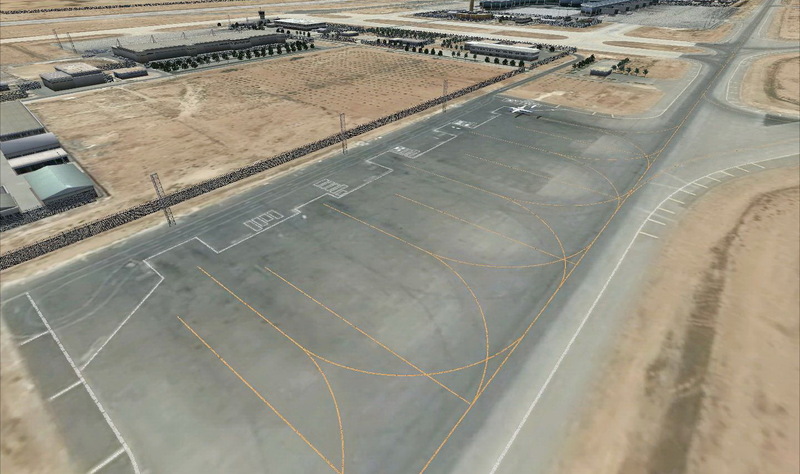 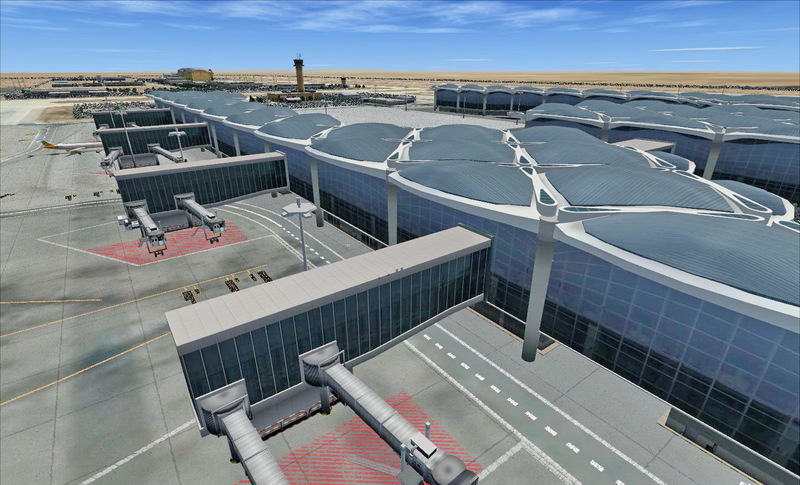 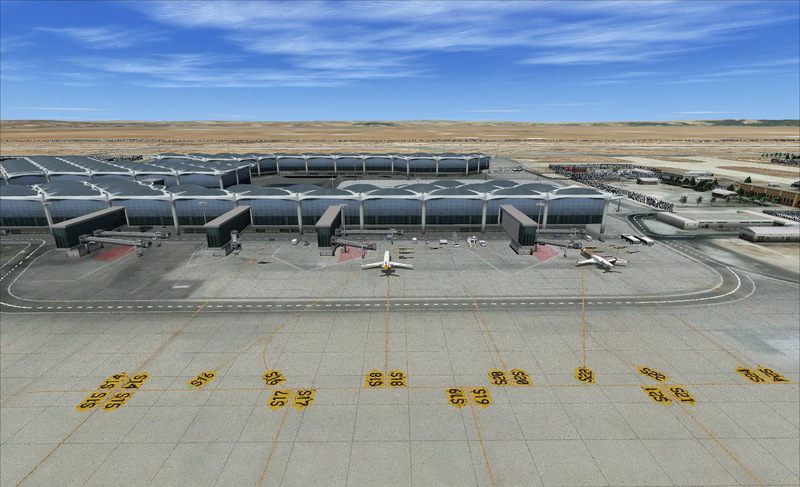 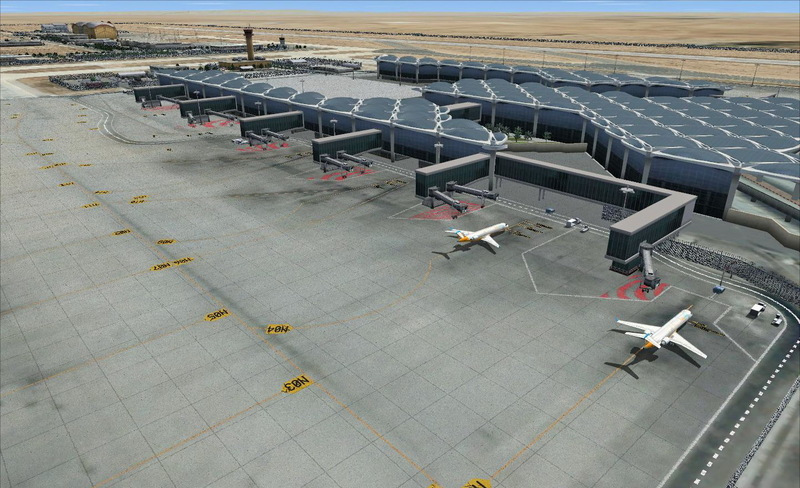 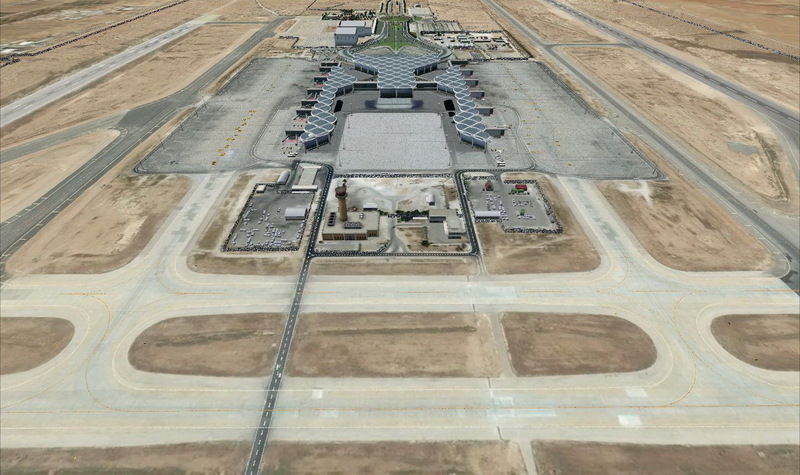 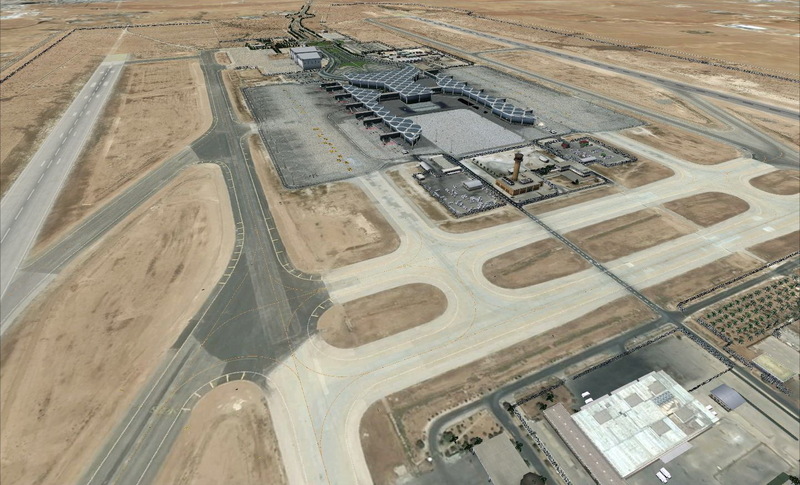 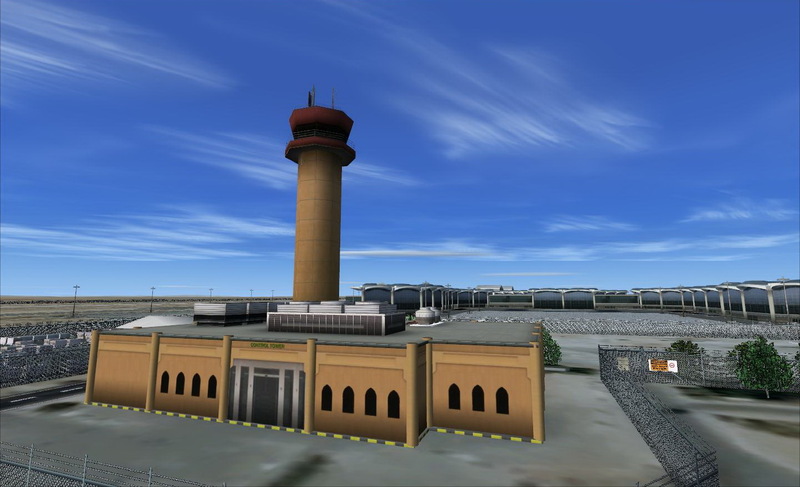 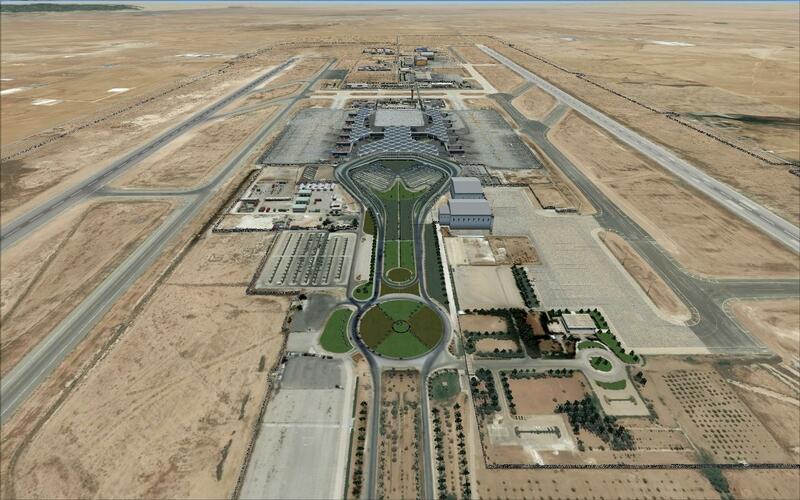 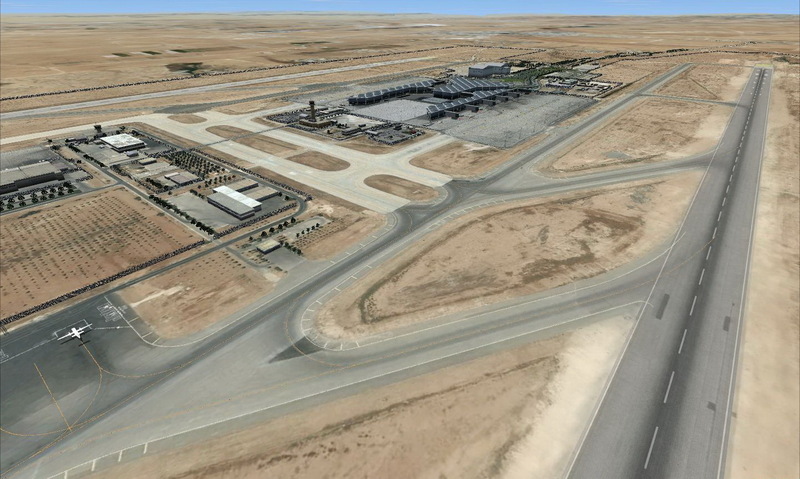 Queen Alia International Airport (IATA: AMM, ICAO: OJAI) (Arabic: مطار الملكة علياء الدولي‎‎; transliterated: Matar Al-Malikah Alia Ad-Dowali) is Jordan's main and largest airport and is located in Zizya 30 kilometres (20 mi) south of the capital city, Amman. 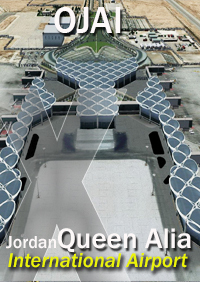 Named after Queen Alia, third wife to the late King Hussein of Jordan, the airport is home to the country's national flag carrier, Royal Jordanian Airlines and serves as a major hub for Jordan Aviation, Royal Falcon and Royal Wings. 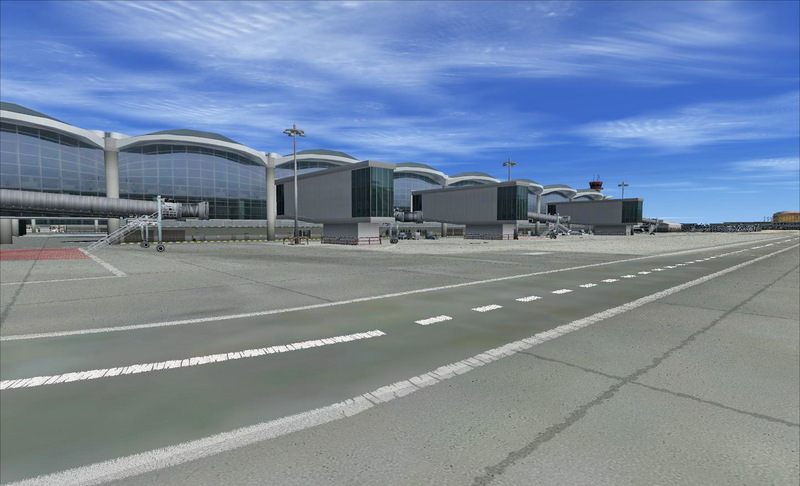 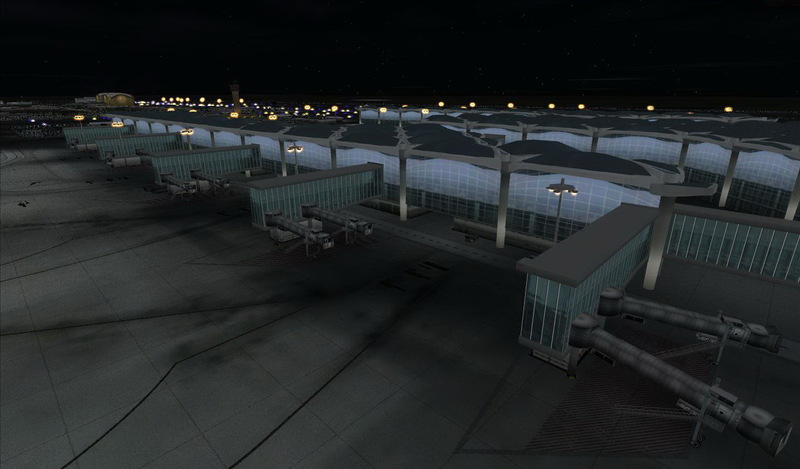 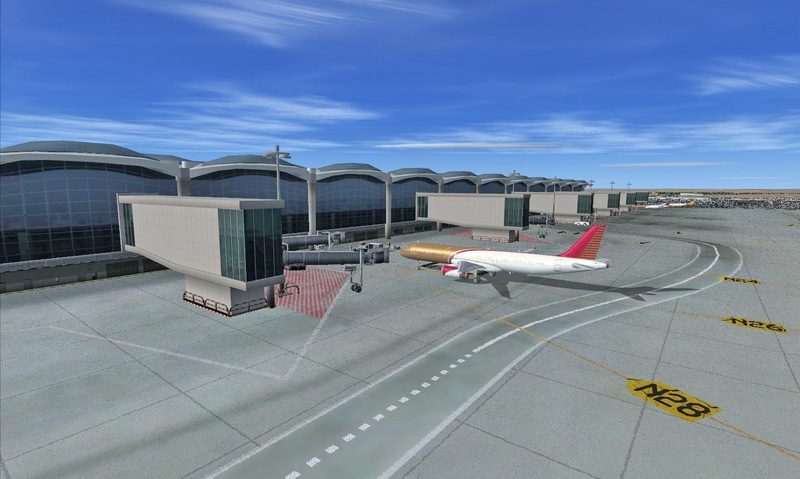 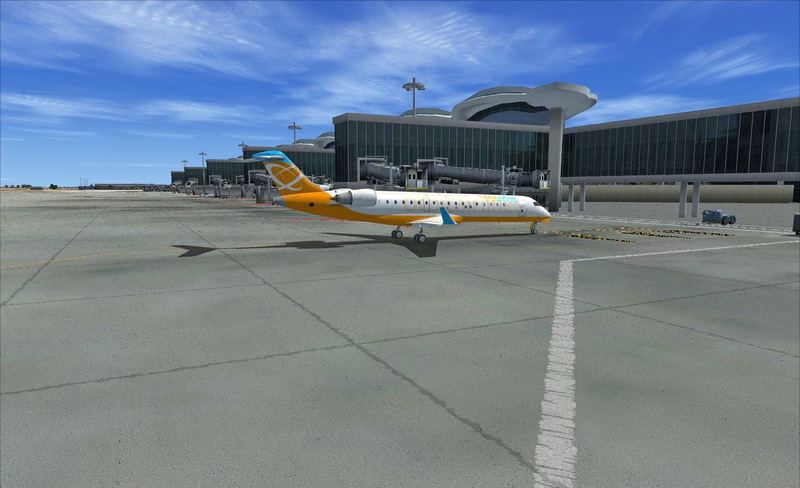 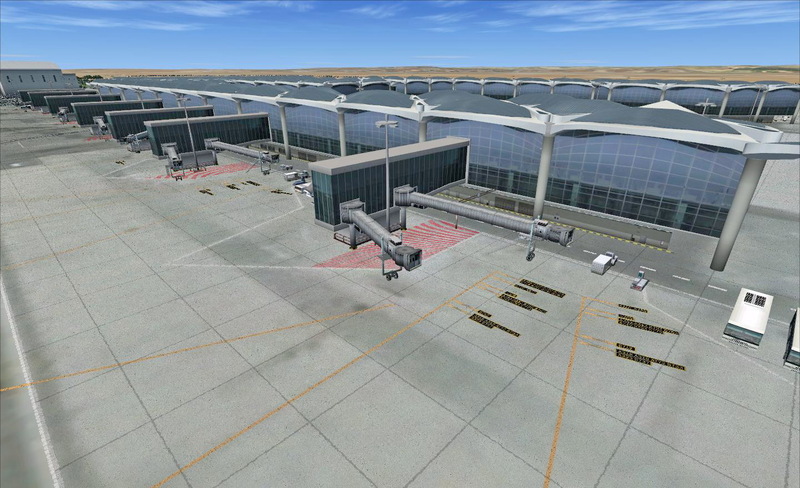 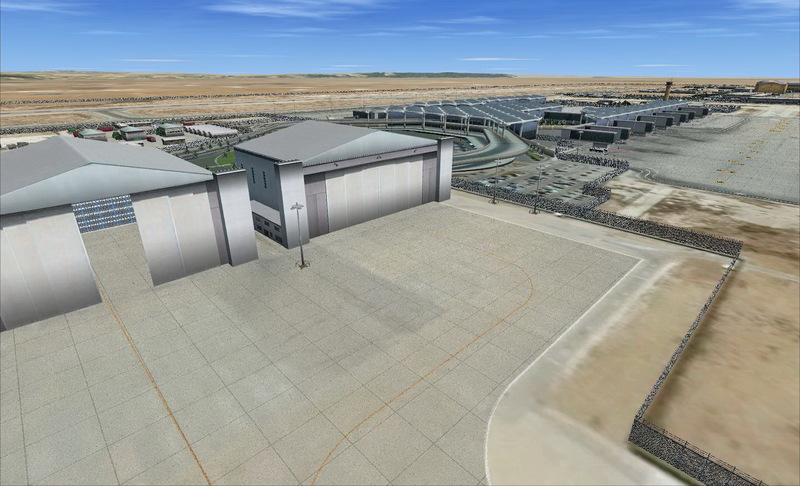 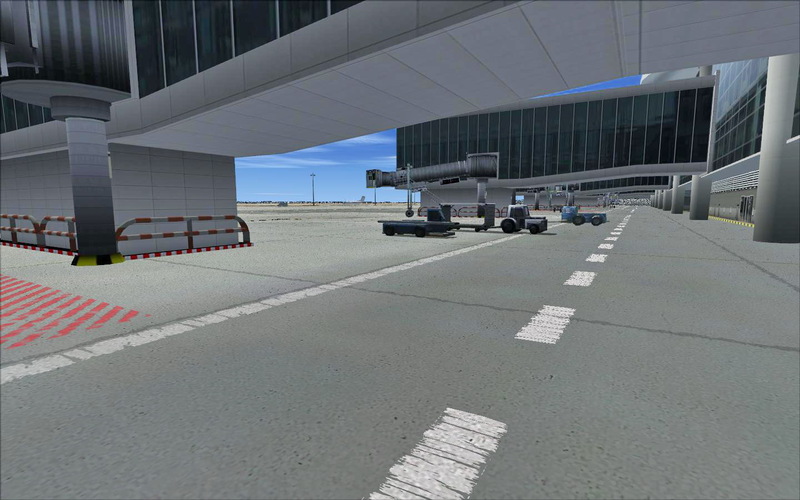 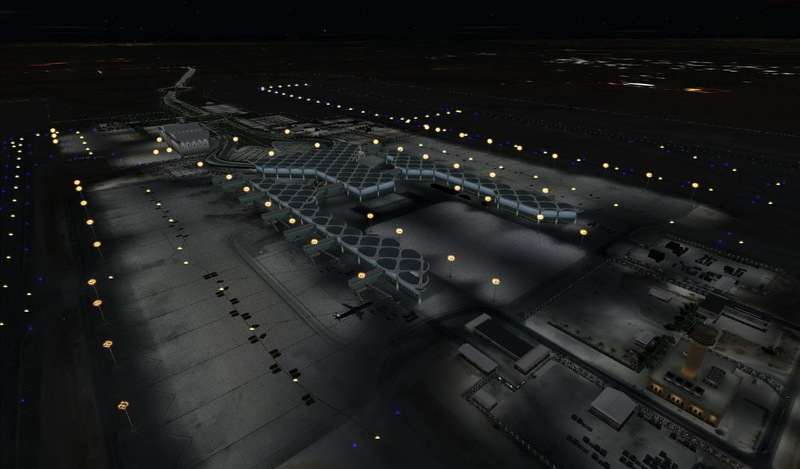 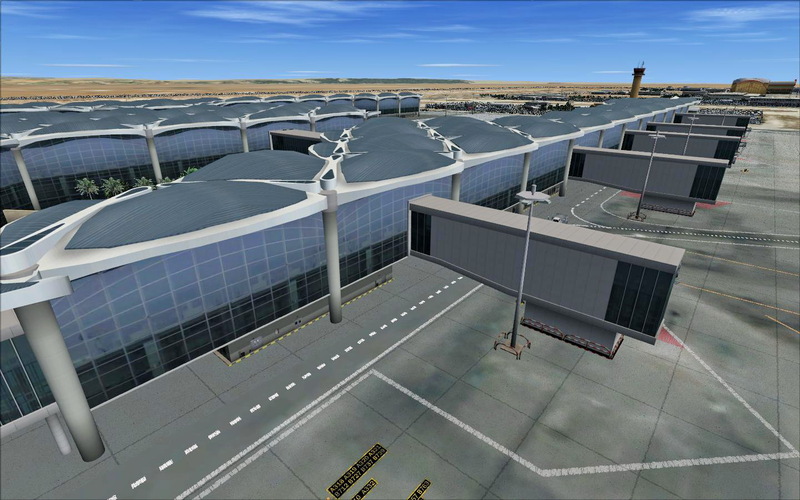 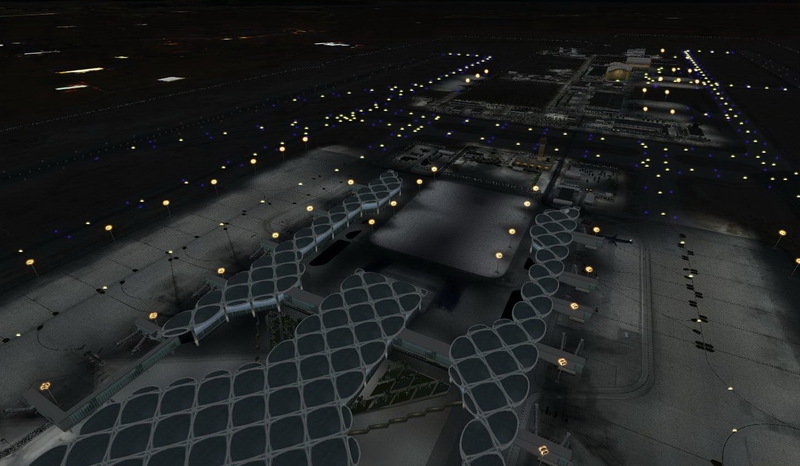 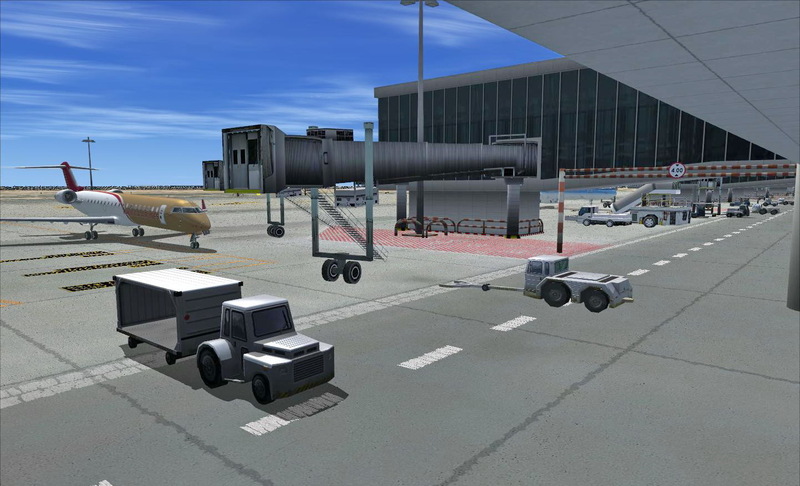 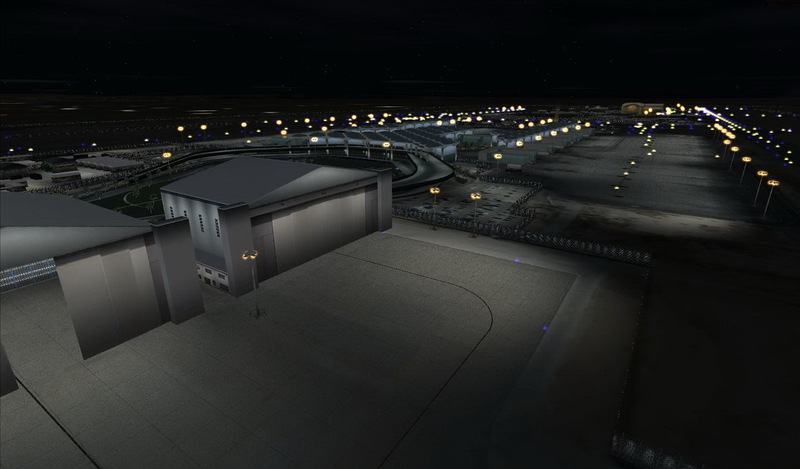 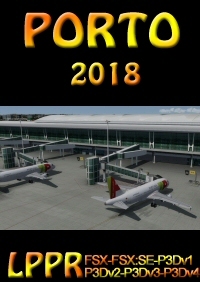 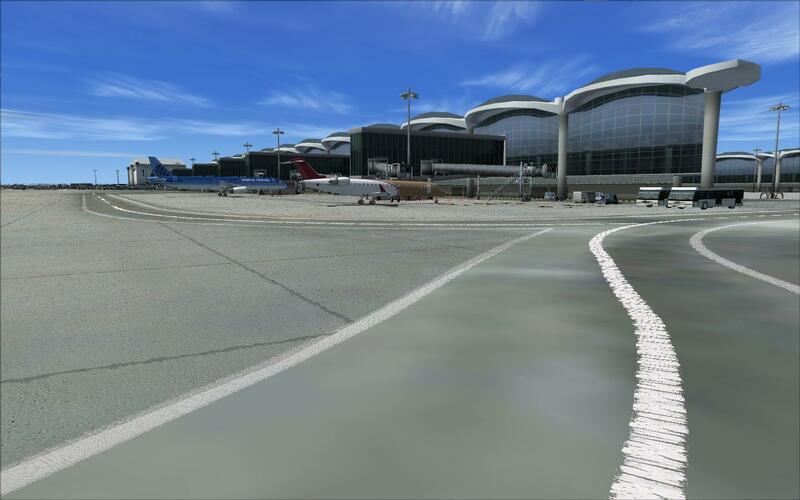 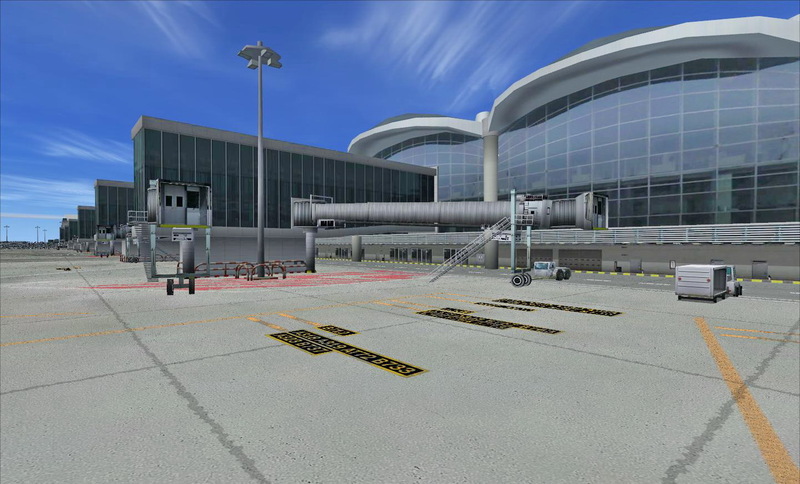 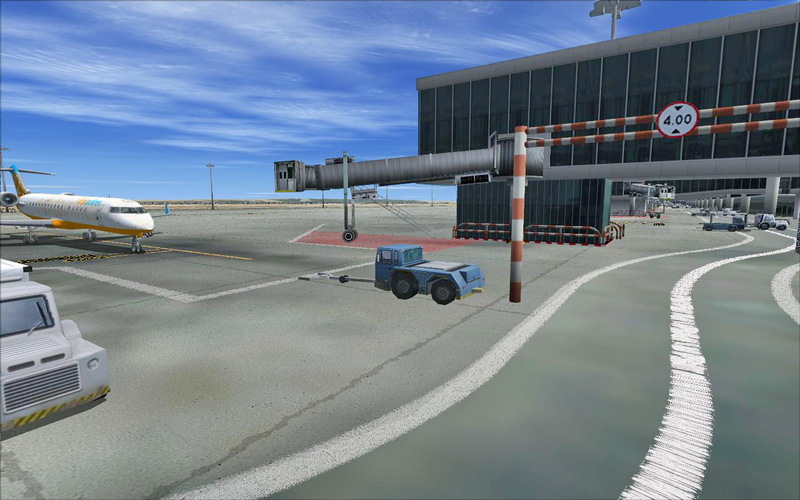 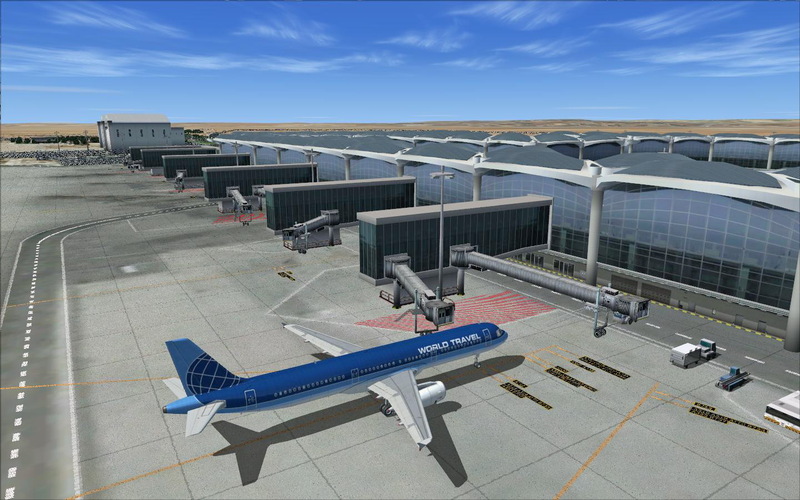 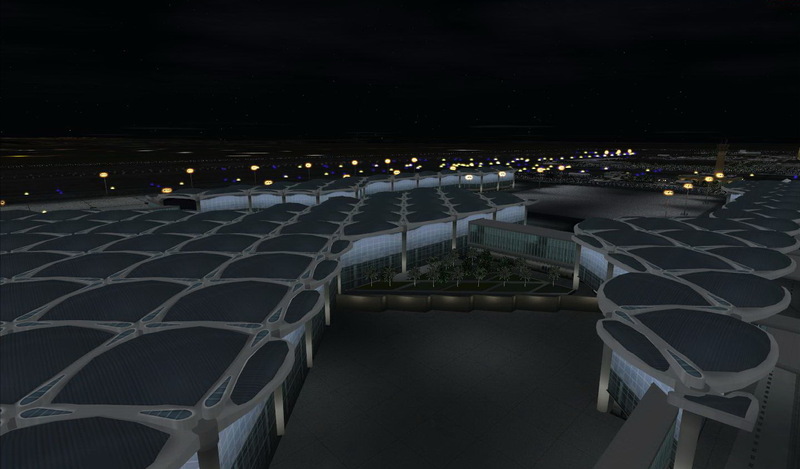 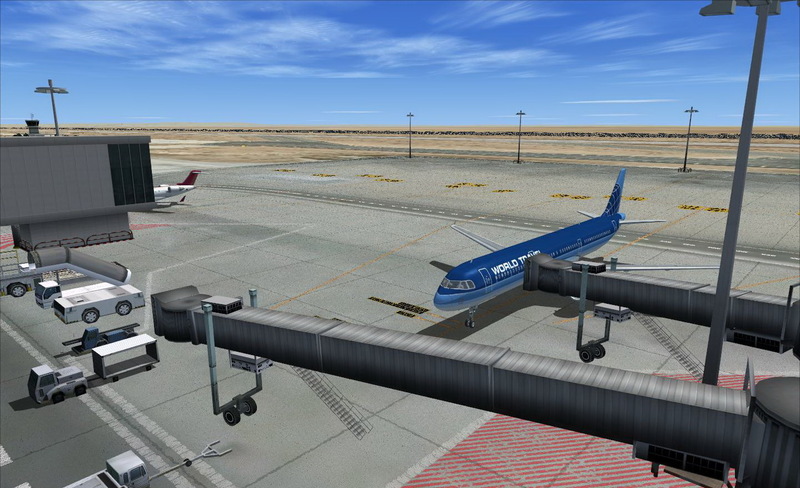 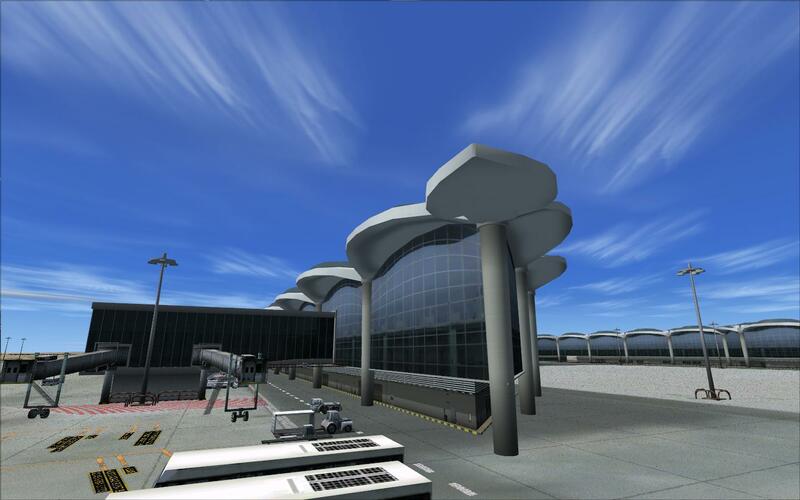 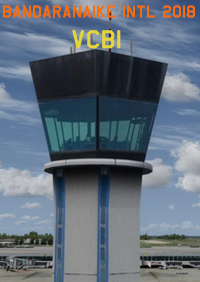 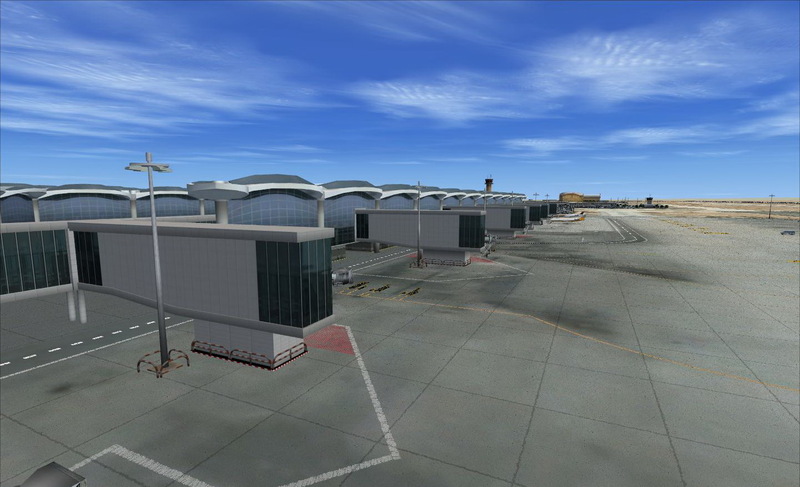 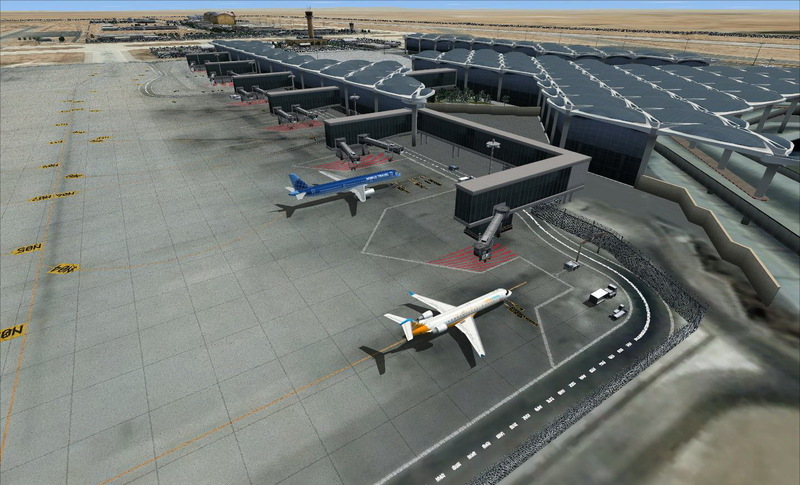 Static Fully detail jetways and bridge to concourse. 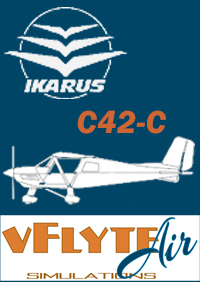 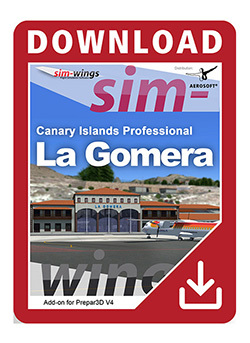 Similar to any Flight Simulator (FS) Addons, this product may have issues that are either default (Microsoft-related) or developer-related. 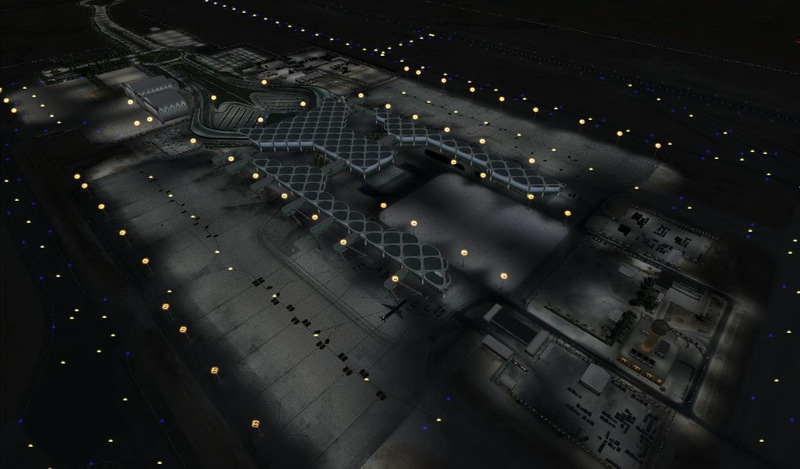 Issues that are MS-related, whether documented or undocumented are many, but we can only speak for our product. 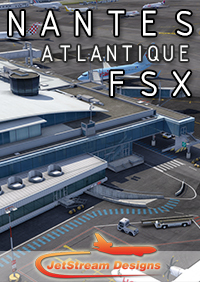 Although there are no micro-stutters or huge lag in fps as tested, it is advisable to lower Effects within FSX Display Settings to High 2x. 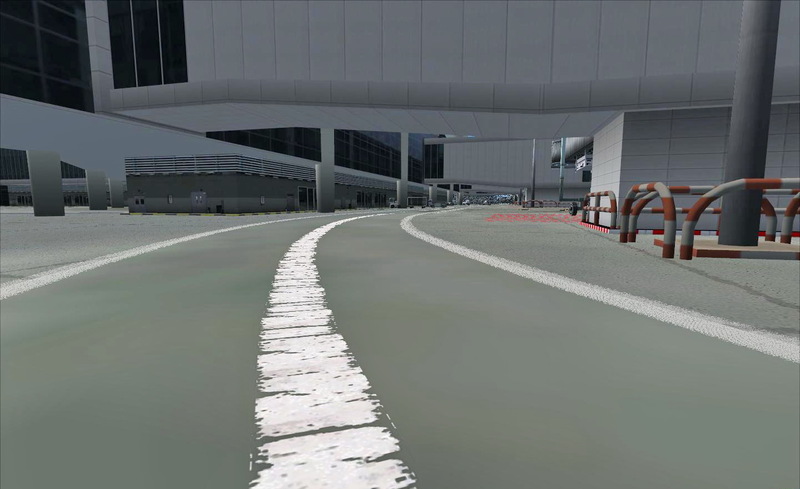 and set Autogen down to respectable levels for fluidity. 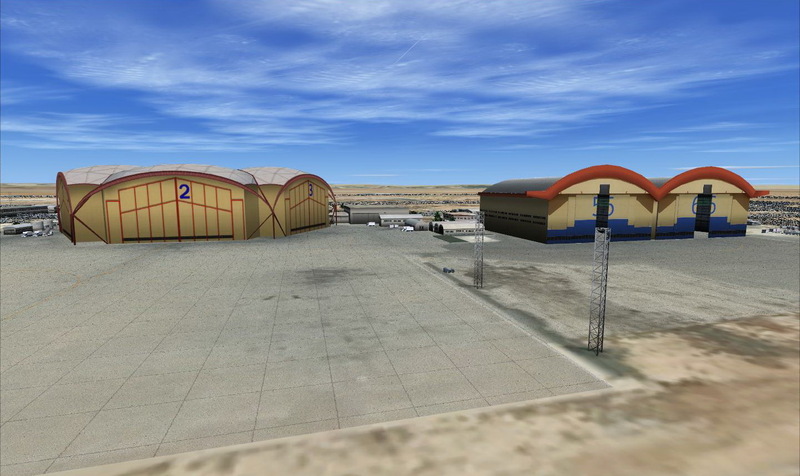 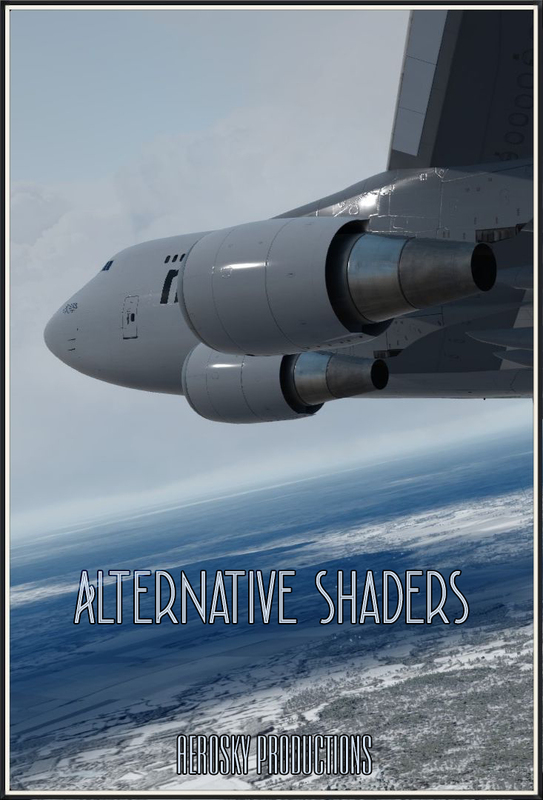 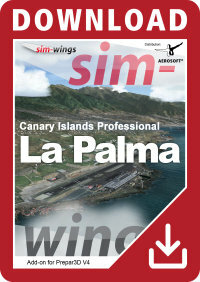 These are recommended for lower to medium-end systems, however the scenery is meant for sliders maxed at 100% peak for those computers who can afford the high level scenery design. 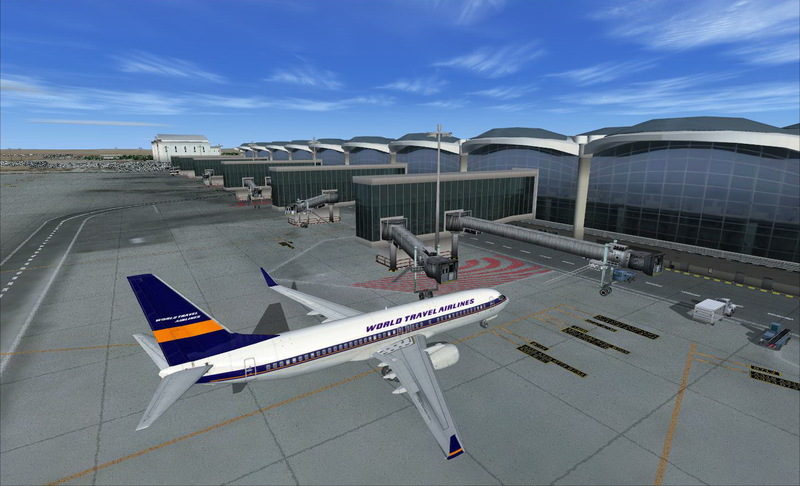 No technical issues were encountered during various beta tests, whether hardware or software- related. 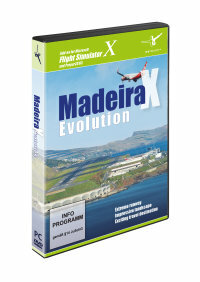 Instructions for installation of software are straightforward; however, venturing outside bounds of recommended installation and use is at sole discretion of End-User.  Furthermore, we will not be held responsible if files are altered within software for any reason associated with End-User taste or choice. 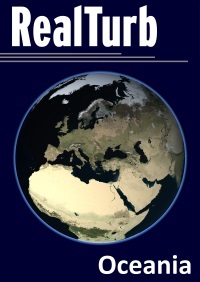 The product is Non-refundable for these and various other reasons. 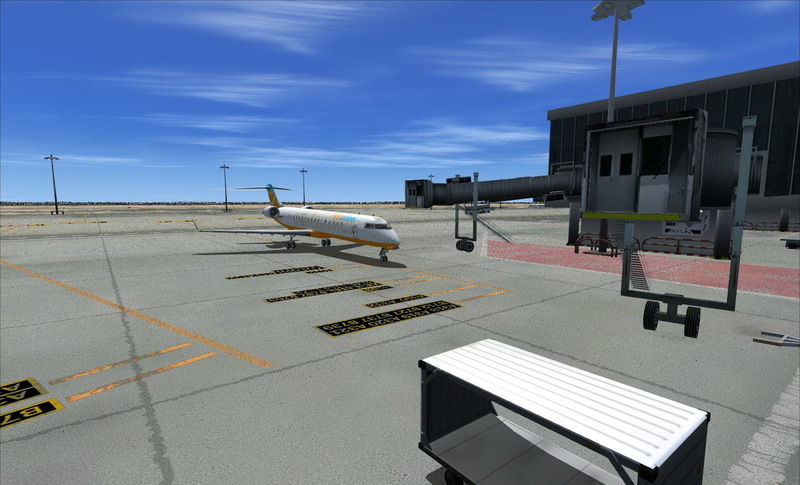 Graphic card 512 Mb to 1G.